The Aquece Rio – International Sailing Regatta will act as a dress rehearsal for the Olympic Games with the world’s leading sailors, many of whom will be on the Olympic startline, fine tuning their preparations in Rio de Janeiro, Brazil. 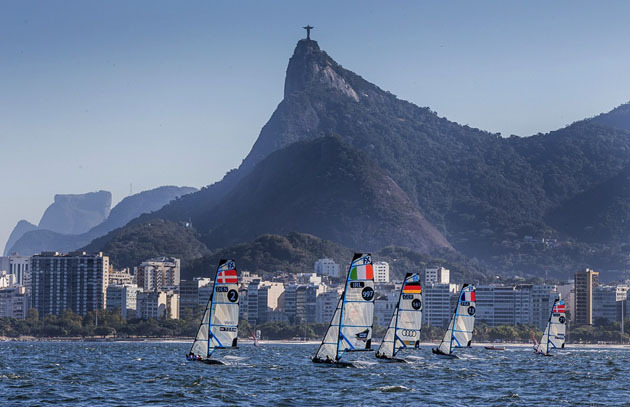 From 15-22 August 339 sailors from 52 nations, racing in the ten Olympic sailing events will put themselves to the test across six race courses, three inside and three outside of Guanabara Bay. Compared to the test events for other Olympic sports, sailing is unique. A large majority of those competing from 15-22 August will go on to Rio 2016 and in many cases the medallists at the test event will realise their dreams in a year’s time with an Olympic medal around their neck. In the build up to London 2012, 18 medallists in the test event went on to take an Olympic honour, a statistic that could well be repeated and even bettered at Rio 2016. With a wide array of exceptional sailing talent the stakes are high. A strong result at the test event can build up confidence and leave athletes with a can do attitude. Racing is scheduled to commence at 13:00 on Saturday 15 August with racing concluding on Saturday 22 August.